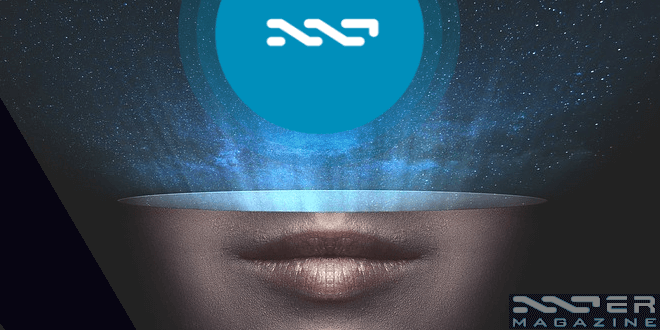 The Nxt community has opened up the process to choose the name of Ardor’s first Child Chain, though there is still over a year before its launch. We are currently in the middle of the voting process in which all Nxters can participate. The first part of the process allowed users to choose and vote for their 3 favorite names, using the poll tool on nxtforum.org. For a few weeks, the ones with fewer votes were cleared off of the list until only a small group of these names were remaining with a revote after each clearing. After a final bunch on names were chosen by the users registered in the forum, the Nxt Foundation carried out due diligence and they were forced to exclude some of the finalists to avoid future problems. The second part of the voting process is being carried out at the moment through the Voting System on Nxt platform. The two finalist are IGNIS and ACE. The poll is going to last until around the 4th of September 2016, when block 944,204 is reached. All the Nxt users with a stake of at least 5,000NXT can cast their vote and only one vote per account is allowed. The Nxt Foundation has stated that the result of the election will be binding. In our previous weekly news compilation, we mentioned some magazines that had echoed about Megalodon’s campaign to promote the strengthening of the Nxt’s network by offering a series of bounties to those Nxters who run a node. It’s no surprise that other media have put their eyes onto this promotion. Roger Aitken at Forbes magazine remarks that Megalodon (AKA the whale-eating shark) seems to be more interested in the long term success of Nxt rather than short-term financial gain when running this campaign. Besides this, Bas Wisselink of the Nxt Foundation, states in this article that Ardor (Nxt 2.0) will provide users, business and governments a truly scalable blockchain that they will able to take advantage of it with no need of an extensive technical background. Dave Pearce, also of the Nxt Foundation, remarks in the article that some basic concepts about how a Proof-Of-Stake platform works and the differences with other Proof-Of-Work coins (forging vs mining). He also expects Ardor to become the Linux equivalent within the world of cryptocurrency. For example, Android, Mac and various users of the internet users don’t know that the software they are running uses Linux. Maybe one day a lot of people will heavily use Child Chains supported by Ardor without even knowing it. Recently, Coindesk magazine has published an article about the implementation of the Coin-shuffle feature, where Daniel Krawisz stated that Bitcoin is going to become the first cryptocoin to adopt this feature created by Tim Ruffing. The Nxt community has quickly raised their voice and claimed that the information was incorrect as that protocol has been implemented in Nxt since November, 2015. It was even mentioned on http://crypsys.mmci.uni-saarland.de/projects/CoinShuffle/, that the shuffling feature was implemented on the Nxt blockchain. Update: Coindesk, after listening all of the voices that pointed out their mistake, has edited the original article. The coin shuffle implementation may be the first in Bitcoin, but not in the cryptoworld, since Nxt has had that functionally implemented for a long time. But on 15th August, developer Daniel Krawisz sent what he believes is the first transaction utilizing this tool on Bitcoin. (The transaction type was previously tested on the alternative blockchain platform NXT). Coindesk: This article has been updated to specify this the first implementation of CoinShuffle on the Bitcoin network. Damelon: I received a mail from Coindesk apologizing and explaining why it happened. Nice gesture. Everything seems to be clarified now. Nxt and its community is, one more time, one step ahead. For a newcomer to Linux, is not always straightforward as to what version of java we have or what repository download from, which can be a tedious task. Because of this, Riker, one of Nxt Core Devolopers, has written the following short instructions and, as a result, prevented new users form some serious headache. This procedure was tested with Oracle Java Server JRE 8u102. However, you can easily adapt it for any other version or flavor of Oracle Java by updating the download URL and version numbers based on the Oracle Java SE. You don’t need root access and the JRE is installed directly under the user folder. Newbium is a marketplace tool developed by the creators of Nxtty that provides real time information about the main cryptomarkets. It’s integrated with Shapeshift and thus allows buying and selling in and easy and efficient way. Recently, their webpage has published a short analysis about Ardor, where boosted Nxt’s market capitalalization from the previous year, together with the raise in the transaction volume. Two good signs for Nxt and Ardor. In this video, Marc expresses his thoughts about Nxt’s latest news. This time, he doubts that it’s a good time to sell NXT. This goes against the mindset of those expecting to buy NXT later at a lower price after a market correction. He thinks that this decision is very risky and that the alleged correction may never happen and thus one runs the risk of been left out of a project that has great potential. Moreover, after 1 and a half months since the beginning of the snapshot process in order to the determine the future give away of ARDR with the current amount of our NXT stake, we should add up the value of the ARDR that we are entitled to receive in our account. All these things, together with the sharp increase in the price of NXT, is making of it a really good investment. Zuqka, a member of the Nxt community, presented his 100% solar powered Nxt node a few weeks ago. Together with some images of the setup of the equipment, Zuqka attached a really interesting analysis by Matthew Czarnek, where he demonstrated the advantage of Nxt versus all PoW cryptocoins. This project shows that you don’t need a powerfull workstation to generate (forge) blocks in Nxt (actually you can do it with simple and unexpensive hardware like a Raspberry Pi, Cubietruck, Odroid…), nor do you need to consume a large amount of electricity. Having a large amount of storage space also won’t be necessary because Child Chains transaction records will be prunable. Really interesting project! Our colleague Yassin is doing a great job in making Nxt tweets spread all around the internet. His hard work is one of the main reasons why the Nxter accounts in French and Spanish language have reached 103 and 101 followers, respectively. Combined with the followers of the English version of Nxter with 1,099 users, we can say that these are very considerable figures. Thank you to all our followers!. We really appreciate you being here. We’ll keep working hard to share first-hand and trustworthy information about this exciting platform to the community.